This is a write-up on doing sub installs. It’s not that difficult, but can be treacherous if done incorrectly. Difficulty Level: 3 out 5 (1 being the easiest, 5 being the hardest). Time: Anywhere from 1 to 3 hours. Depends on how good you are at it. Speaker wire/RCA – not all amp kits come with good speaker wire. Don’t skimp out on speaker wire or RCAs. Get well-shielded cables to protect from interference. Distribution block – if your amp kit doesn’t come with one, consider getting it if you’re planning to add more amps to your system. 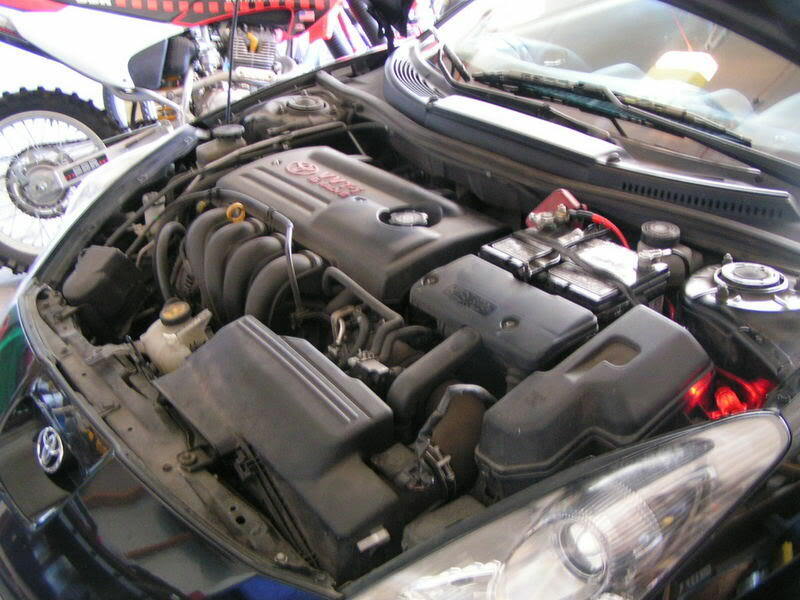 Battery terminals – this will make the installation look much nicer under your hood. Worthy of having if you have multiple components under your hood that need power. Power cable terminals – those little things you add on to the end of wires. It will make the installation easier when you get to the amp and looks a LOT nicer. Line output converter – if you don’t have an aftermarket head unit with RCA inputs, you’ll need one of these. It will wire to your speakers and comes out with an RCA connection. Saves you from need a head unit. Find a decent amplifier kit that suits your need (if you don’t want to piece it out one by one). Make sure the the amp kit supports the wattage you’ll be providing (if you’re planning on having a multi-amp system, get a larger amp kit from the start). 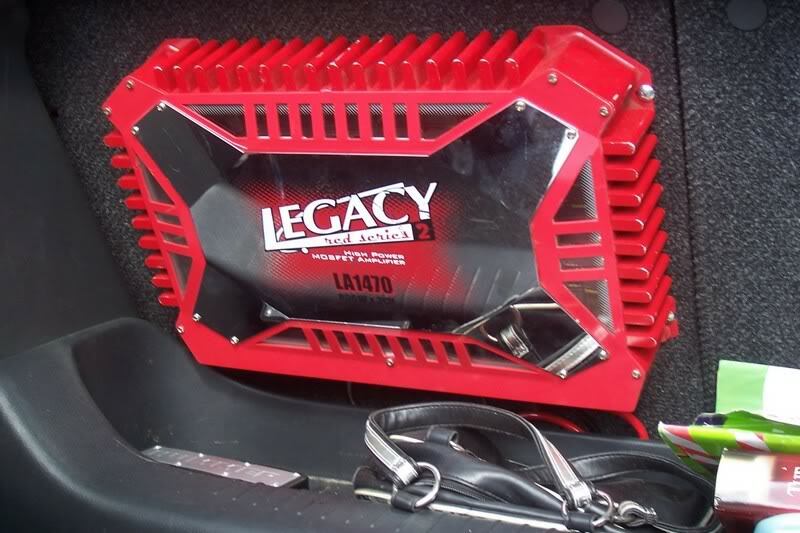 This Metra Tsunami 1200W amplifier kit looks good for any mid-sized system. Know how to wire your subs. Wiring dual-voice coil subs is not the same as wiring a regular single-coil sub. Here is a guide from JL Audio’s website that tells you the resulting resistance (ohms) from the wiring type. Wiring the subs incorrectly can result in blown components. Make sure your amp can support the resistance you’re putting it at. Not all amps are stable at 2 ohms, let alone 1 ohm. Lastly, I’m assuming you have a mono amplifier. First things first, prop your hood and disconnect the negative from your battery. We don’t need to short things. Pull apart that amp kit you bought. Depending on the components you got with the amp kit, it’ll be a little different each time. I’m going to use the amp kit I recommended as the reference for this article. Find a suitable place to mount your fuse holder. It doesn’t even need to be mounted, but just make sure if it’s hanging, it’s not in the way of anything else. Cut your power cable, enough so there’s enough to get to the battery to the fuse holder. 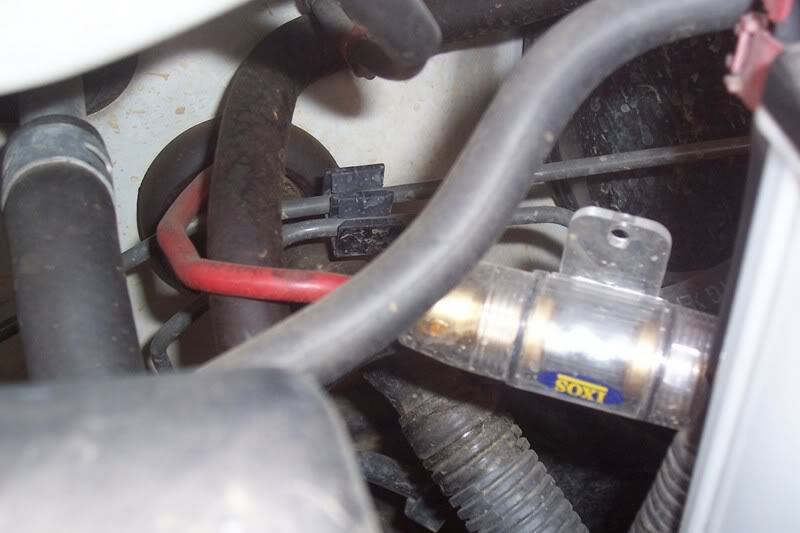 Attach the cable coming from the battery to your fuse holder. For the other end, we want to first feed it through the firewall. Don’t put the fuse in yet… we’ll do that at the end. Go inside the car and take out the plastics under the driving wheel. Find a nice little grommet to stick the power cable through. Go back under the hood and pull out your power cable long enough so it’s not in the way of anything else and it’s also long enough to reach the fuse holder. Attach this end to the fuse holder as well. Not bad, we’ve got the under hood part done! Now you’ve got this giant excess of power cable sitting under your driving wheel. I’d recommend to start pulling plastics right now to fit the power cable through. A great place to run your cable is under the door sill and through the plastics all the way into the hatch. Make sure you have enough leeway. Once it’s made the hatch, we can stop with the power cable for now. If your system came with a distribution block, let’s just go ahead and install it, even if you’re not installing multiple amps right now. Mount it somewhere (the back of the rear seats is a good place). Cut the power cable again and attach it to the “in” side of the distribution block. Assuming your distribution block doesn’t take a different sized cable, continue to use the power cable from one of the “out” sides. Woah, you’re done with this! Let’s work with the ground cable now. Find a decent place to bolt down the ground cable. 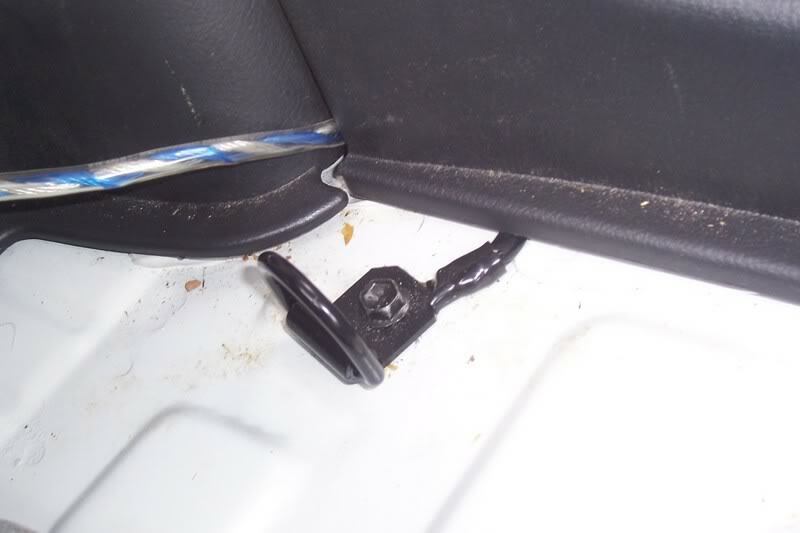 Chances are theres a bolt or two under the plastics/carpet. Once you find it, you’ll see that its surrounded by paint. Whip out the sandpaper and get working until you get down to the metal. Once that’s done, you’ll be able to bolt down the ground cable. If you want to drill your own hole, you can always do that. Power/ground wiring is pretty much done now. Let’s move on to mounting the amplifier. There’s several places you can mount the amp. The back of the seat or the top of a sub box are common places. I’d recommend the back of the seat more than the sub box; vibrations can mess with the amp. 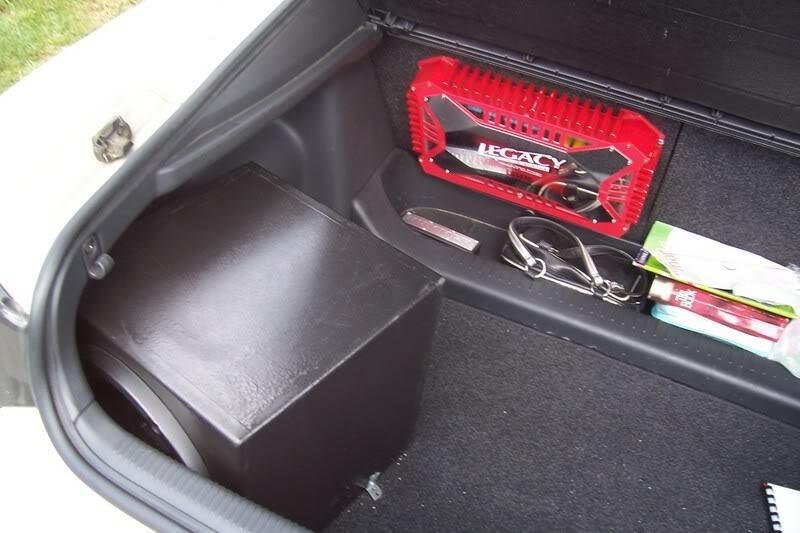 You can mount the amplifier with just screws or go all out and get an amp bracket and bolt it down to the car. I’ll go with the screw method now. Once the amplifier is mounted to the seat, go ahead and connect the power and ground cables to their respective locations on the amplifier. Hey, it’s starting to come together now! Let’s move to the sub box. Refer to the above guide if we’re wiring DVC subs. Otherwise, wire one on one to the terminals. Now you have terminals to connect to on the back of the box. Yay, it’s coming together even more. Screw on the subs to mount them to the box. Almost getting there. Whip out your speaker wire now. This part is pretty much straightforward. Connect one end of the speaker wire (3′ of wire should be sufficient) to the terminals on the sub box and the other end to the respective spot on the amplifier. NOTE: The next two parts can depend whether you have an aftermarket head unit or not. First one is for aftermarket HUs, second is for the stock HU. We’re nearly done! Grab your RCAs and the amp signal wire (usually the small 18-20 gauge blue/black wire). Connect the the signal wire to the remote spot on your amp and connect the RCAs to the amplifier. Run this on the other side than your power cable. Running them side by side will just about always result in interference. So run it down the passenger side. Pop of the plastics too so you can make it look all nice. Run both up to your head unit (assuming you have an aftermarket). Remove the head unit so you have access to the rear connections. Connect the RCAs and the signal/remote wire to the AMP connection on your head unit’s wiring harness. At this point, you’re pretty much done. Now, if you don’t have an aftermarket head unit, you need to whip out that line output converter I told you about earlier. You need to wire to a speaker. Considering your driver side plastic may be off, wire it to that speaker. Now you have a place to plug in RCAs. Plug in your RCAs there. Now you still need to connect that signal/remote wire. You’ll need a basic switch to get this going. Connect the signal/remote wire to the respective “remote” spot and run the signal wire along the driver’s side (it’s already open). Mount the switch in a nice location and wire the signal wire to it. Now you’ve got a switch for quick shutoff of the amp. Start celebrating. You’re pretty much DONE. . Few quick things. Make sure the sub box doesn’t move. Use a bungie cord or bolt it down. It’ll stay then. Then start making it look nice, hiding wires, etc. Just shove stuff behind plastics and carpets. . That pretty much gets the job done. Finally, put the fuse into the fuse box. Reconnect the negative terminal. You are done and ready to test the system! Few things for tuning. If you have a new amp, chances are the settings are all down. Mess around with the settings until you find something nice. I haven’t messed much with this, but be careful with the bass boost. NEVER put it all the way up. Last thing. Don’t start blasting your subs immediately. Break-in your subs for about a week or two (assuming you drive daily). Keep it decently low. A good way to do it is to have the bass boost quite low or completely off. That way you can still hear without having the sub hit hard.